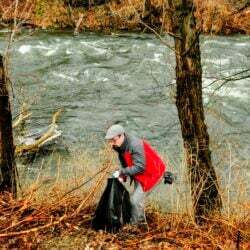 November was the 5th snowiest in Portland since the 1870s. There’s no question, it’s been a fast and early start to the winter season. The next ten days look cold, but much less stormy than recent weeks. So far this season, nearly three feet of snow has fallen in Caribou. 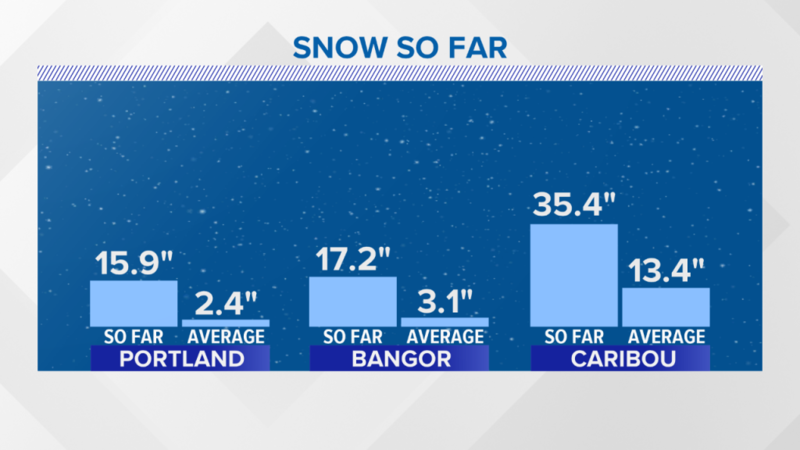 Both Portland and Bangor have picked up over a foot of snow. November went down as the 5th snowiest since the 1870s in Portland; 7th snowiest since the 1920s in Bangor. The weather pattern looks to take a significant shift to less active for Maine in the next seven to ten days. One storm will miss us to the south on Wednesday. 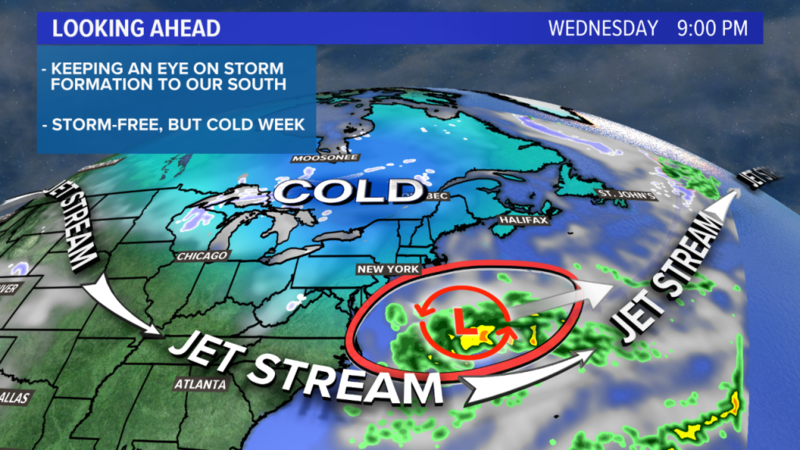 With the jet stream dipping far to our south, cold air will become entrenched over the northeast. Highs Tuesday through the end of the week will only be in the 30s; some inland towns will stay in the 20s Wednesday, with overnight lows in the single digits and teens. The only real precipitation chance the rest of the week comes Thursday night into Friday, when a cold front may bring scattered snow showers to the region. Behind this front, another even colder air mass will settle overhead Saturday, when highs may only be in the teens in the mountains, 20s elsewhere. Another storm looks to form this weekend in the southeastern United States. 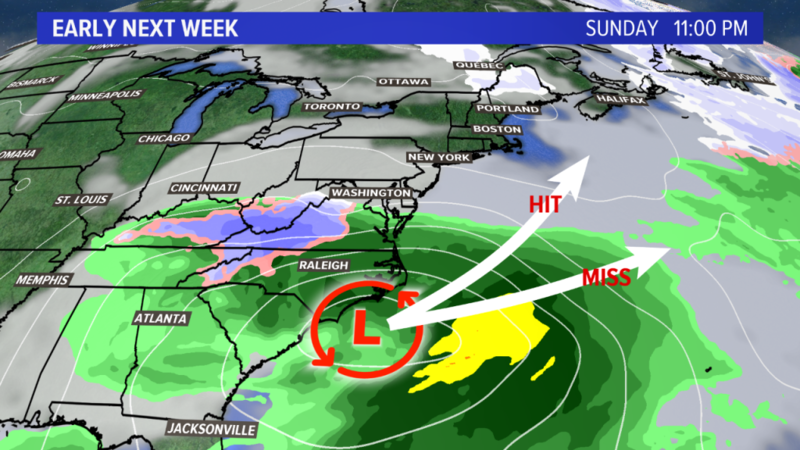 Right now, most model guidance hints that it will take a track south of New England, but it will be worth watching in the Sunday through Tuesday timeframe.